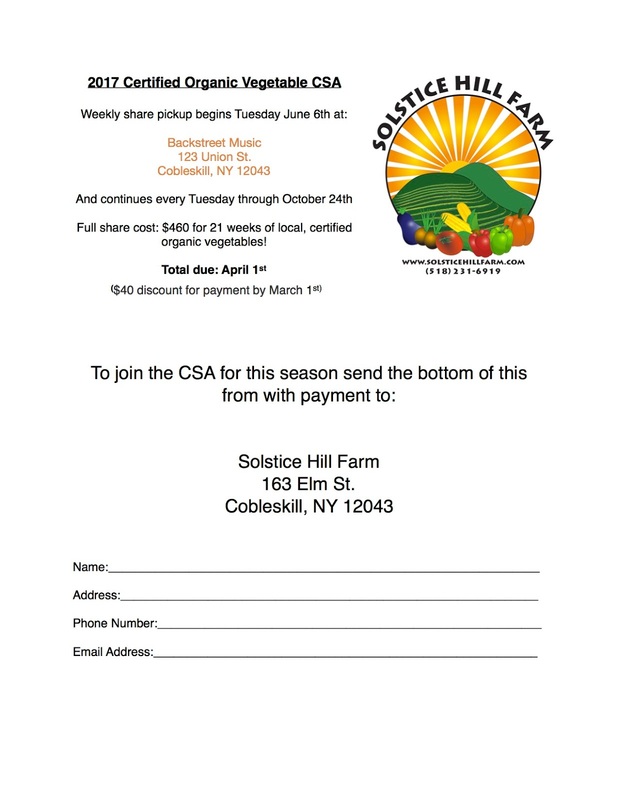 Solstice Hill Farm: Join the CSA! It's time to join up for the 2017 season! CSA is a collaboration between members and farmers to secure a safe and environmentally responsible food production system. Members invest in the farm before the season begins, providing financing for Spring planting. In return, members receive a premium portion of farm produce at discounted rates. This collaboration provides fresh, local, organically produced food for the members and financial security to the farmer. 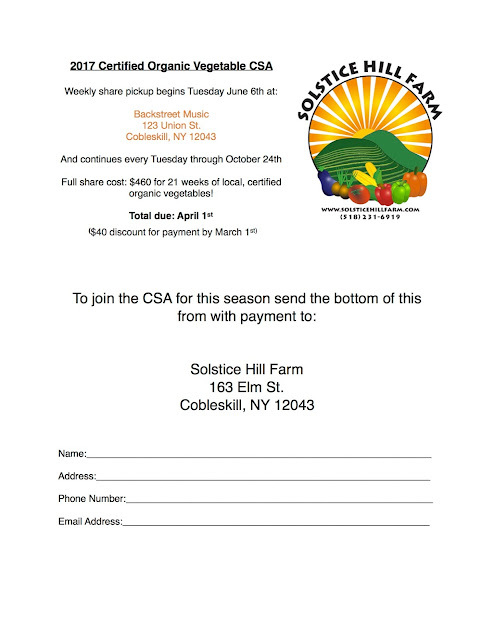 Joining our CSA makes you a participant in our new and exciting local farm. WHAT IS IN A VEGETABLE CSA SHARE?